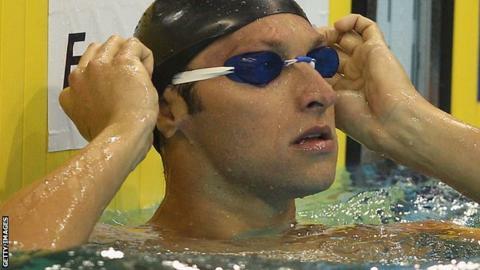 Five-time Olympic champion Ian Thorpe has been released from hospital after recovering from a shoulder infection. The 31-year-old contracted the problem after surgery earlier this year. Australian media reported the 31-year-old could lose the use of an arm but that was dismissed at the time by his manager James Erskine. "It looks as though the infections have cleared up. It can always re-infect as it's done twice before but we are hopeful," said Erskine. Thorpe, Australia's most decorated swimmer, retired after the Athens Olympics in 2004 before making an unsuccessful comeback bid for London in 2012. He was admitted to rehab for depression earlier this year after being found in a state of confusion by police near his parents house in Sydney. He had taken anti-depressants and medication for a shoulder injury - sustained in a fall at home - but was not under the influence of alcohol. Thorpe made his Olympic Games debut in Sydney in 2000, winning three golds there and another two in Athens, but retired in 2006.